Christ’s Jazz is a fantastic opportunity to get involved with small jazz ensembles throughout the year. It is very relaxed, with no commitment to rehearsals, and players of any ability from across the university are welcome to join. Don’t worry if you don’t already have an ensemble, just get in touch and we will put you together with other musicians! 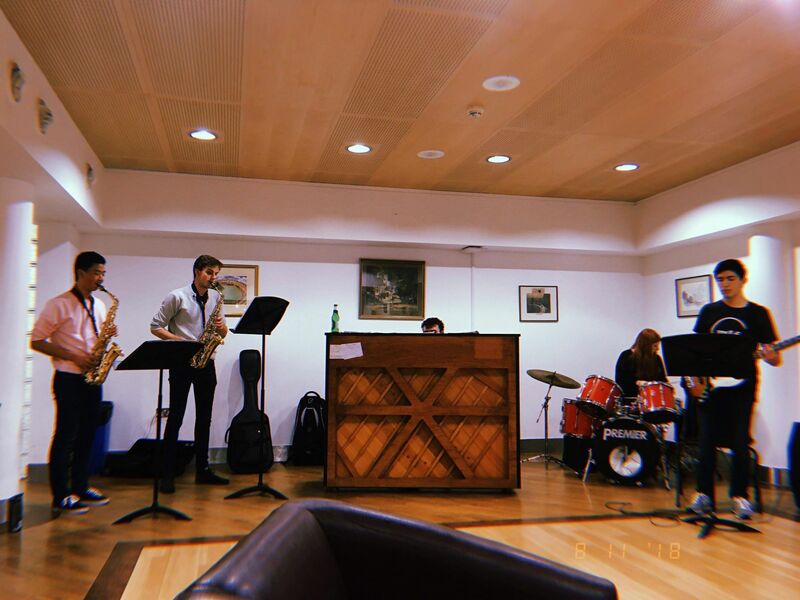 We arrange Jazz ensembles to perform at Christ’s Week 5 Blues nights, held in Michaelmas and Lent in the Function Room. These are always very well attended events that provide a great opportunity to relax with cocktails and music. Christ’s Jazz also provides a great platform to form ensembles to play at garden parties and May Balls during May Week. Recently Christ’s Jazz musicians have performed at the university wide SciSoc garden party at Pembroke. If you would like to get involved or would like more information, whether you are an individual or a pre-formed jazz ensemble, please contact the Jazz Officer.